There has been a wrong idea circulating among people that "Twitter is not for Everyone" which is completely irrelevant to how Twitter is designed to work. 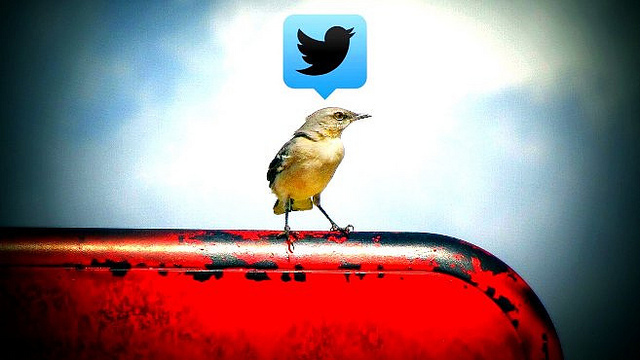 I would say that Twitter is an amazing medium of cut short messages, instant news platform and if used properly, it could become a very well platform for marketing/ advertising your product or a brand per se. Do you think that way too ? If yes, read through the below 7 points to see how you can leverage your twitter account to make good connections and advertising your brand. Now who wouldn't like a million followers to their account . Wouldn't you ? This has to be the first and foremost work that needs to be set right to get your twitter account and your connections upto the mark, unless you are already a brand that has established its worth on twitter. If someone's following you, that clearly means that they are showing their interest to see what you have in store and eventually expecting you to follow back too. Now you may tweet all the things that you are doing good and a lot of other things, but they'd like you to follow back as well. If you're not doing that, its most likely you will end up loosing that one follower from your account which is the same with all the followers over the course. There are users who tend to "DM- Direct Message" you to follow them back and its normal and there are users who would expect you to do the favour of following them back without asking for it. It is for you to decide whether the follower you just gained is worth following back or not. There's another post that talks about interacting with your peer users on Twitter efficiently. I think this is powerful if you'd want to stay on course with your followers to actually make them feel that you're worth having a conversation. #SO is one of the many twitter tags that users find commonly being used to make a shoutout to your peer follower/following users. Use the hashtags wisely. Now you don't want to spam your follower with too many hashtags that makes the conversation irrelevant in most of the cases. Call out names and start engaging in conversations that will make them feel special and next time they will look forward to your tweets. Now this may not seem like a wise idea if you already have a million of followers to your account but still could be considered doing this once in a while to keep up the interaction factor going forward. Its time for you to decide what you should be doing now to make your twitter connections awesome and interactive. Let me tell you this, gif images works all the time. It's attractive and catches the eye on spot and people would want to retweet, start a conversation over your tweet. Just a random search for "gif" on twitter gives the below link where you can see for yourself the number of retweets and favorites and replies to the tweets with gif images. That proves it now, doesn't it ? Asking doesn't make you any less than the other person who doesn't, the fact that it only makes you a better person and makes you approachable. Ask for Opinions in the form of tweets. Fellow Twitter users would be happy to reply back to your tweets if that interests them. Convey a message, or a help if needed, all you have to do is ask and that your twitter herd listens and you might not know, you will have your solution one tweet away. Coming to the point, asking for opinions, thoughts, helps improve your connection on twitter. 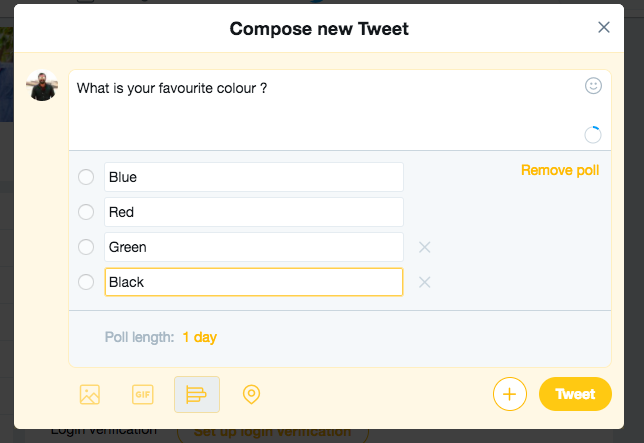 Polling Feature on Twitter is one of the ways to improve your twitter connections. There are a lot of scenarios where you wanted to choose an option from a group of options and you can actually ask it out on Twitter suggesting your connections to choose one for you. This will actually improve your perspective on seeing things in a different way and you can even start tweeting back to your twitter users with the feedback that will create a whole new conversation altogether. As far as Twitter connections is considered, its not one way. Meaning, you have to often tweet back to your other fellow followers, followings tweet and start engaging yourself in a conversation. This will give you an option to be seen over a wide list of people, your followers/followings followers and improve your connections along the way. I have found this as one effective way to improve connections, infact it works all the time. Sharing Quotes as a tweet get more considered than a normal tweet like "What a crazy day! ". The Retweets that you get and the views on your quotes will automatically improve your connections with quality followers overtime. Now that I've shared all the 7 ways that I myself use frequently, we have come to the end of this post. Let me know if I've missed out any of your favorite ways and also how is it working out for you in the comments.